“They’re telling me Ben Affleck, make no mistake, that he does want out,” said Campea. “He doesn’t want to be Batman anymore.” Sources also tell him that Affleck is in talks with WB to end his deal playing Batman, and if they do not agree to it, the standalone Batman film will be the last time he plays the character. The Batman is tentatively scheduled for a 2019 release. We have to, like Campea, stress that this is just a rumor. He himself even acknowledges that there might not be any truth to the rumor. However, the DCEU has a reputation for having production problems which has led some of its directors to leave their respective superhero films. There have also been reports of studio interference, as well as the studio ordering rewrites for a script. Which seems to contradict that WB and Affleck are happy with the script. Still, there is that problematic pattern that WB is experiencing. None of which bodes well for their superhero movie franchise. If Affleck ends up getting what he wants, it would be a huge blow for WB, who has been trying to build the DCEU into a successful superhero movie franchise. Affleck can be considered the linchpin of the DCEU. He is arguably the most recognizable actor playing one of the most popular heroes. But he has always been ambivalent to saying he would direct The Batman, often times giving lip service during interviews so that people would stop asking him that question. 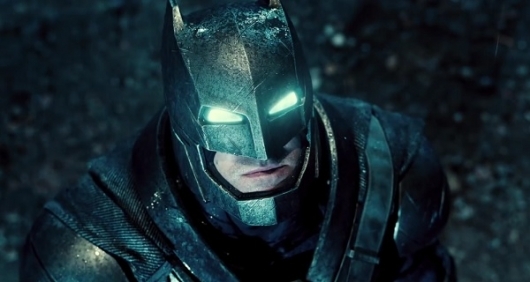 There are many who would like to see Affleck stay on as Batman. But he must be really unhappy with the current situation for such a rumor to pop up. That being said, there is no way to verify this rumor and until we get it from those who are closest to the DCEU, it will be considered as such.